Avril Lavigne Black Star Perfume for women yields a comprehensive, energetic aroma, which instigate self confidence. Black Star Perfume for women is designed and created for such girls who love to be prominent and express their own unique style as it is scrumptiously unique fragrance that symbolize Avril’s individuality. 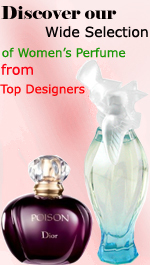 The perfume bottle is covered with black cap with vibrant floral and fruity accords.